Hannah Hillier is art director and senior designer of Marine Lane, a graphic design agency in NYC. Hannah has led Marine Lane projects for Mercedes-Benz, Sharon’s Sorbet and No Labels resulting in national press features and presence on Capitol Hill. Hillier has been the recipient of numerous graphic design awards. While at Marine Lane, Hannah has led many projects for non-profit clients Untold News, New York Center for Autism Charter School, and the Sohn Conference, using her talents for good. Hannah is 27 and resides in a 2 bedroom apartment in Williamsburg, Brooklyn. I lived in Detroit for a year before moving to New York. I mean I loved it there. It was a bit hard to leave. The community is wonderful. Great people, great art but it wasn’t quite the right fit for me. I went to undergrad in Ann Arbor at the University of Michigan. A really interesting place to grow up in those weird in-between years. But I’m originally from a small town in Northern Michigan - a little village called Cedar. I really like to draw and paint. It doesn’t really have to be any good - in a lot of ways it’s important for me not to put pressure on myself for it to be good. Just the act of doing it and getting it out. “It’s okay to fail” and all. Experimenting with mark making and illustration. I also curate these monthly playlists and that brings me a lot of joy. It’s such a simple thing but it really goes far. I make these playlists that are about two hours or longer for every month and then will just listen to them on repeat for the next three weeks. They each have their own specific vibes. A few months later I can go back and listen and relate the songs & the sounds to how I was feeling or things I was experiencing at that time. Like bookmarks or something of the sort. The relationships I’ve built. I look around at all these wonderful people sometimes - my friends and my family and my coworkers and all my lady loves - and it makes me proud to be alongside them because I see how strong they all are. It’s not really an accomplishment of my own as it takes two to build a relationship but I will say I am proud to be a part of my community of creatives and independent women. That’s a big one. Being happy can be hard work - maybe more than it’s made out to be. So I guess I just try to stay present, work hard for the things I care about, and spend quality time with my favorite people. Less is more. In my home I don’t necessarily like a lot of stimulus. I like a quiet visual space. As a designer, it’s important for me to have a bit of a palette cleanser in that way. How has your home and lifestyle and aesthetic evolved? I like a fairly minimal space. I’m also very much about my comfort items and creating a really peaceful place. Really relaxing candles, comfy blankets, a lot of plants and greenery, soft materials, soft light, no clutter, don’t really like any knickknacks, just nice things I use on a day-to-day basis and a tiny bit of art. It’s important for me to have a space that is an indoor space that also feels kind of like it could be an outdoor space in some way. Light coming through some sheer curtains. Feel like I see my home through the lens of self-care. I like to create an oasis for myself. Especially here in New York where personal space is hard to come by. I have routines I build in for myself throughout the week. Things that are just for me. Doing my nails in a creative way or putting in a leave in conditioner for my hair. Those are definitely things I couldn’t live without even though they are very simple acts. I try to meditate every morning. I clean before I leave for work every day so that I can come home to a relaxing space. It’s not a big space so that’s not too difficult. I sit on my fire escape and stretch my legs in the sun on the weekends. Read a book. WHAT THINGS MAKE YOU HAPPY/BRING YOU THE MOST JOY IN YOUR HOME AND LIFE? The right materials, the right colors. Things that are a part of my routines. Or things that are nice for having people over. I bought a little projector for movie nights and that’s great. I don’t have a regular TV or even space for a regular TV. 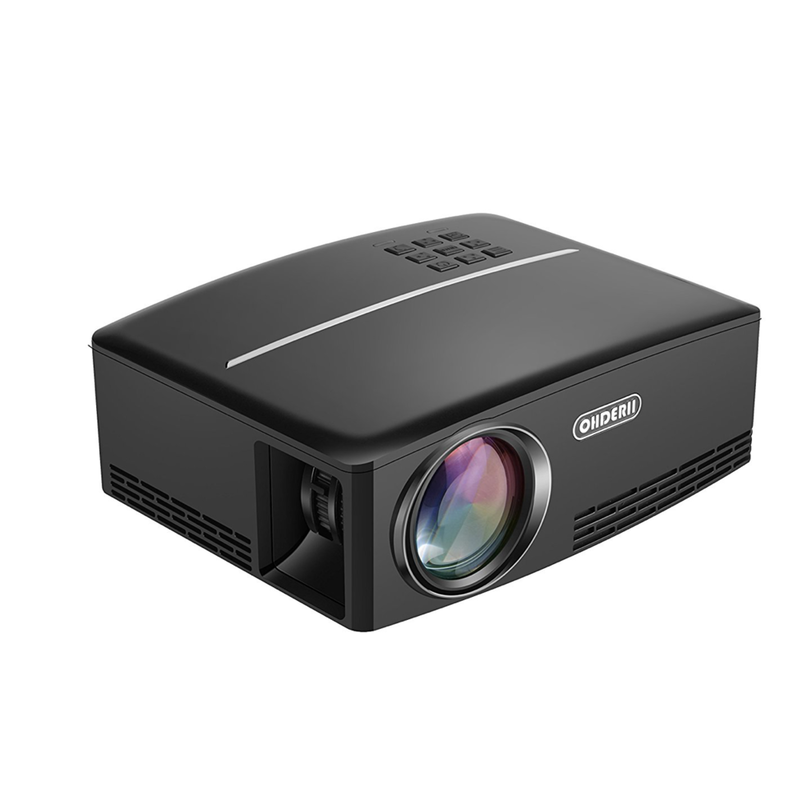 This projector makes watching something as a group possible and a bit more special in some ways. I’m a cat owner (surprise!) and so I try to have a nice litter box in my house. FRIVOLOUS ITEMS THAT YOU CAN'T LIVE WITHOUT? All my beauty stuff. Funny thing is I was such a tomboy growing up. Never did my makeup or my hair or my nails. Like ever. So it’s been something new to learn in a way. I know this is going to sound strange. BUT. I have this fold out army/camping cot. My dad got it for me as a birthday present when I was in the eighth grade. Which at that age it’s kind of like “Gee thanks”. My dad was a very practical guy. Despite not being thrilled straight out the gate, it has been hands down the most useful thing I’ve ever owned. It’s traveled with me through all sorts of moves. When I have friends visiting - I throw some fresh linens on it and it’s immediately an extra space to stay. For a quick read when I want to feel like I can do anything. I do really like exploring new places in the city. A new restaurant or bar with a friend. A museum with an exhibit I want to check out. Just talking walks with my headphones on and being a part of the city.